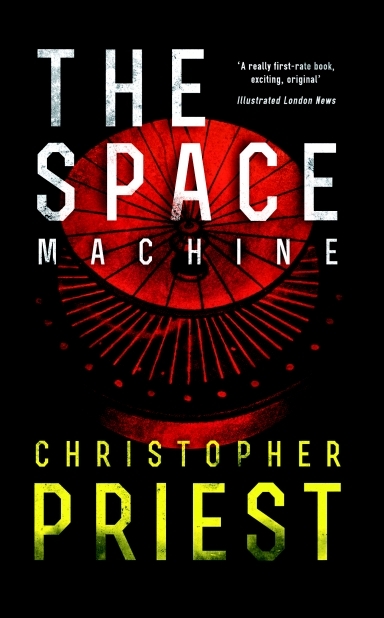 The Space Machine was first published in 1976 and has remained in print ever since. It is an affectionate homage to two famous novels by H. G. Wells: The Time Machine and The War of the Worlds. The Space Machine tells a story that is already familiar, having been filmed several times in the past, but in this case there are two crucial differences. The war of the worlds was first recounted in 1898 in the remarkable novel by H. G. Wells. In The Space Machine the invasion of Earth is described for the first time from the Martian point of view. Just before the attack is launched two young Victorians, falling in love and fooling around in the laboratory of a famous scientist, accidentally transport themselves to Mars. (The inventor has been building a time machine that also operates through space.) The only possible way home is to stow away on board one of the first Martian projectiles fired at Earth as an invasion fleet. They land on Woking Common, as described by Mr Wells. The Space Machine treats the events in Mr Wells’s book as real occurrences, reported as journalism, but tells them from a completely fresh viewpoint. The second difference between The Space Machine and earlier adaptations of the story is that it maintains the wonderful atmosphere of the Wells novel. All modern adaptations have updated the story, so that the Martians are confronted with tanks, jet aircraft, lasers, nuclear weapons. (This updating was true even of the very first adaptation: the radio play by Orson Welles, in 1939.) In The Space Machine we have only the small British Army, whose ranks are already depleted by colonial duties and foreign wars. As the invading Martians rampage through the Thames Valley, with their death rays, poison gases and vast explosives, they are opposed by Brits using small arms, cavalry and horse-drawn artillery. The foot-soldiers signal each other with semaphore and heliographs, and their only reserve is indomitable pluck. In 1979, The Space Machine was read as a 10-part serial on BBC Radio 4. Adaptation rights to the novel are available at present. Reviews of The Space Machine.